My largest cake to date is Buddy the Dinosaur, from the PBS series “Dinosaur Train”. He was made for my oldest son’s second birthday. Buddy’s head and torso are solid cake. His arms and legs are cereal treats. The entire sculpture is supported by a PVC skeleton. Buddy was covered in yellow fondant and fondant strips and then airbrushed orange. 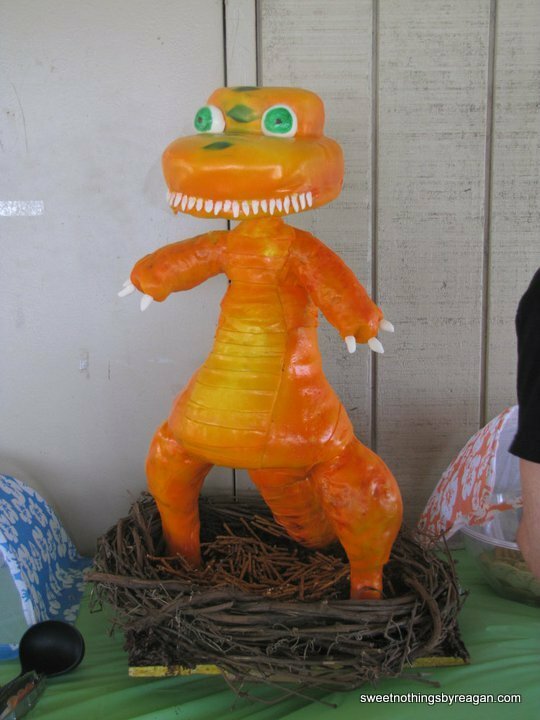 His teeth, eyes, and claws are all fondant while his green spots, which continue all the way down his tail, are airbrush stenciled on. Buddy stands in a grapevine wreath filled with a chocolate and chow mein noodle mixture. As you can see, Buddy stood nearly as tall as my little buddy! 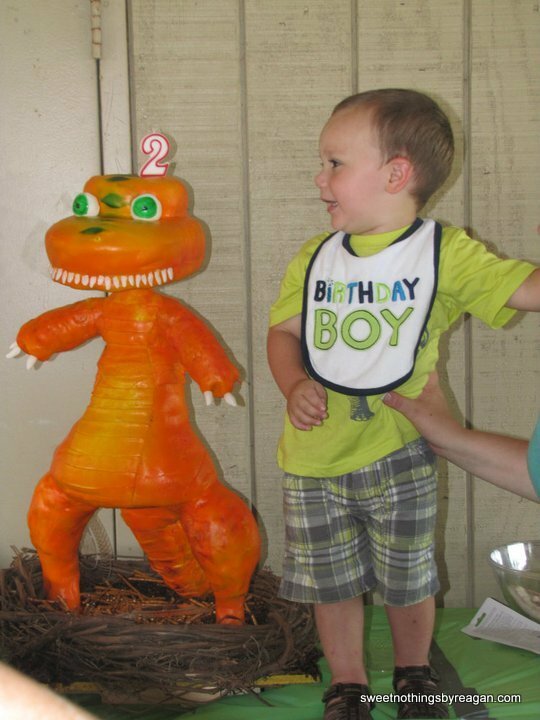 Posted in featuredTagged birthday cake, boy, Buddy, cake, Dinosaur Train, fondant, Huge cake, sculpted cakeBookmark the permalink.